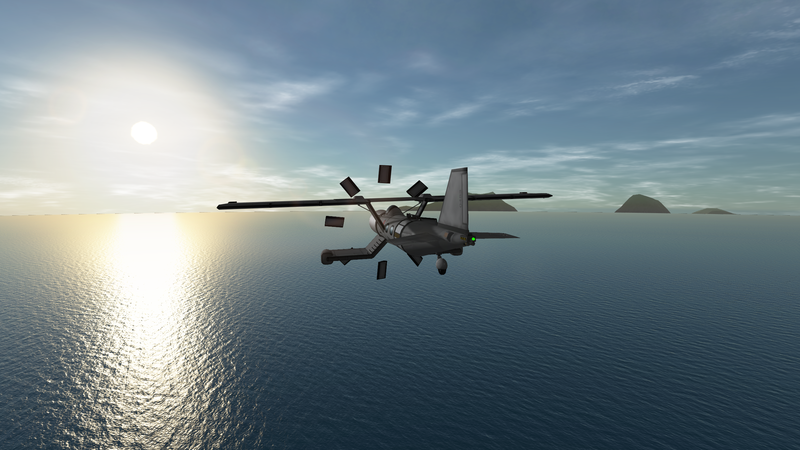 A take anywhere plane for exploration and science. 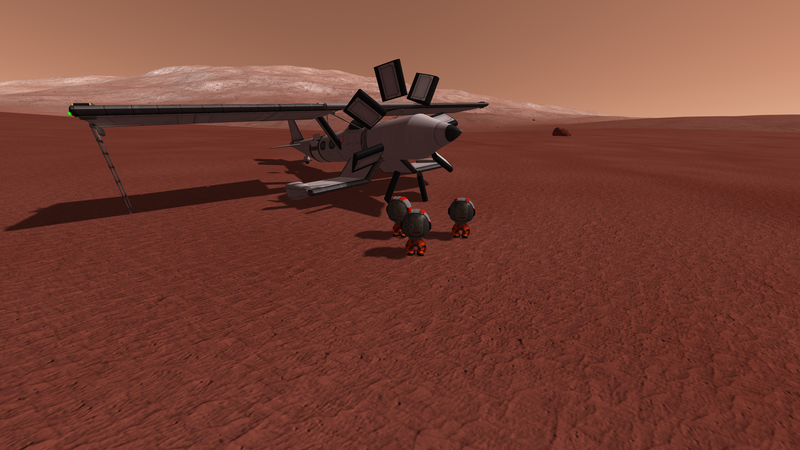 It has a top speed of about 100ms, a relay dish, a science jnr and three Kerbal capacity. It has infinite range in the engine, but the main craft must be charged via the solar panels occasioanlly. Engine cannot dock so do not timewarp once staged. 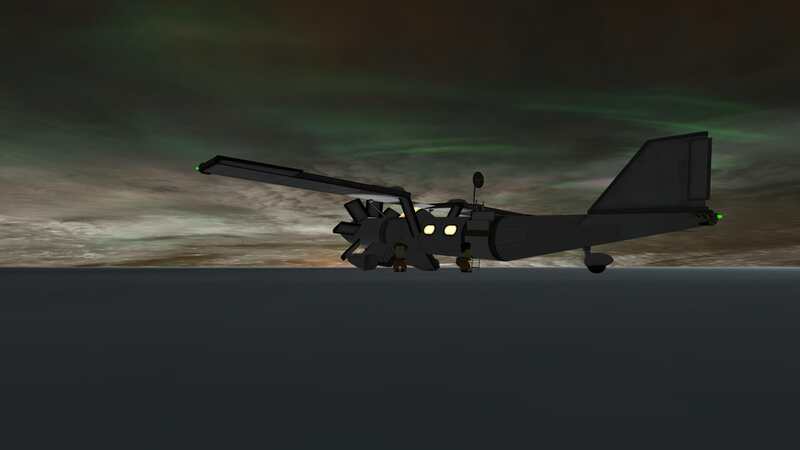 A stock aircraft called Expedition. Built with 105 of the finest parts, its root part is Mark2Cockpit.